Nobody ever forgets the first time they travel alone. 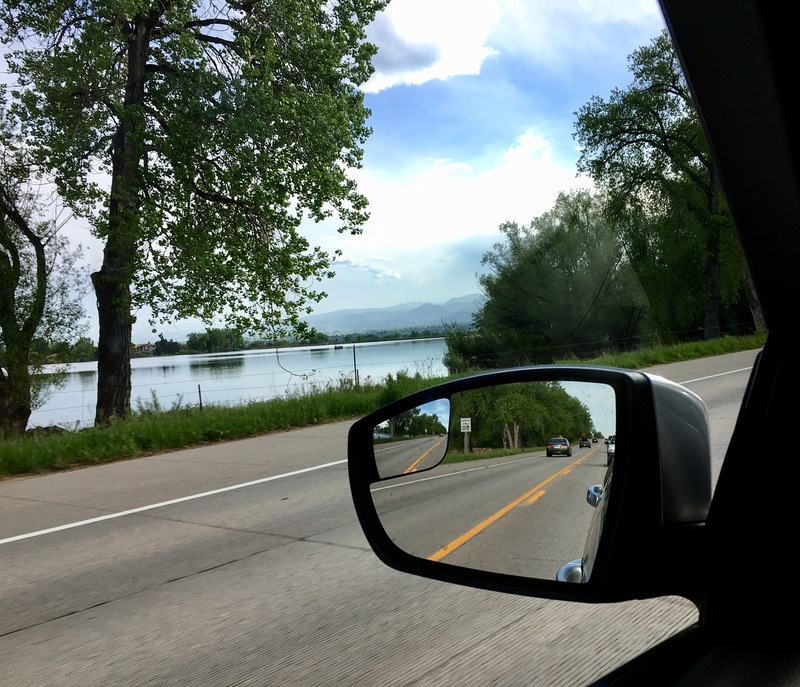 In May, after spending time with my parents in their home state of Arizona, I decided to take that plunge to do some solo traveling and it was going to be my first time. 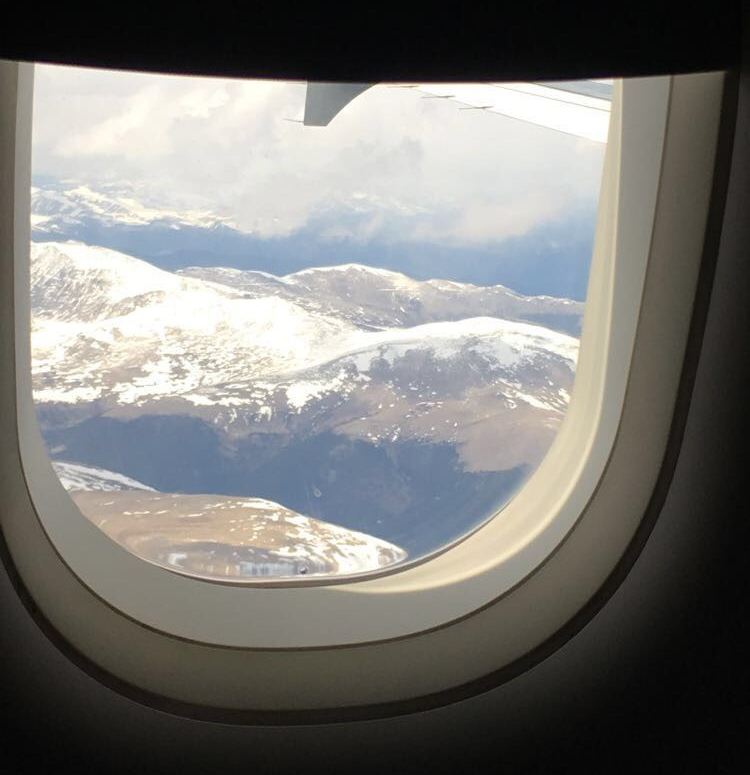 I said goodbye to my parents, hopped off my Lyft ride, and arrived at Sky Harbor International Airport and then hopped onto a plane an hour ride to Colorado. 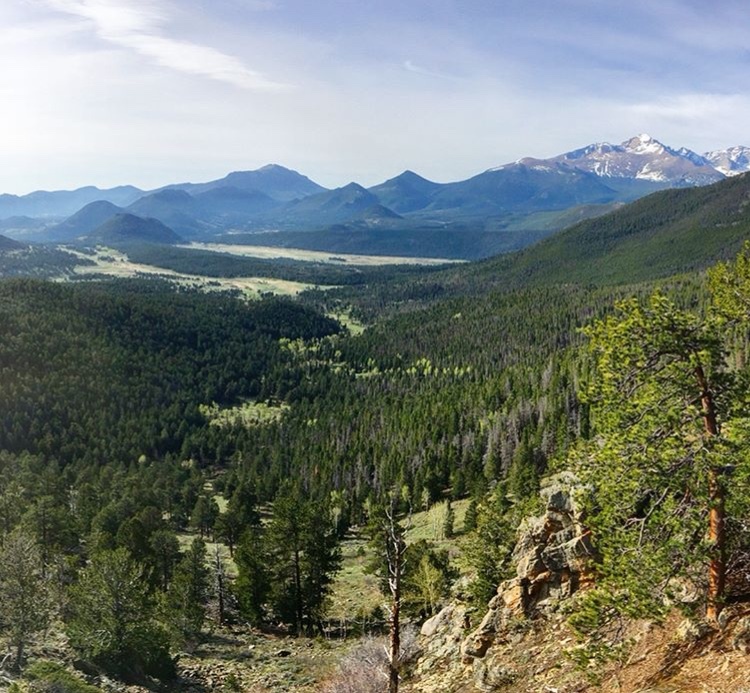 Discovering Colorado solo was an experience I’d never forget. 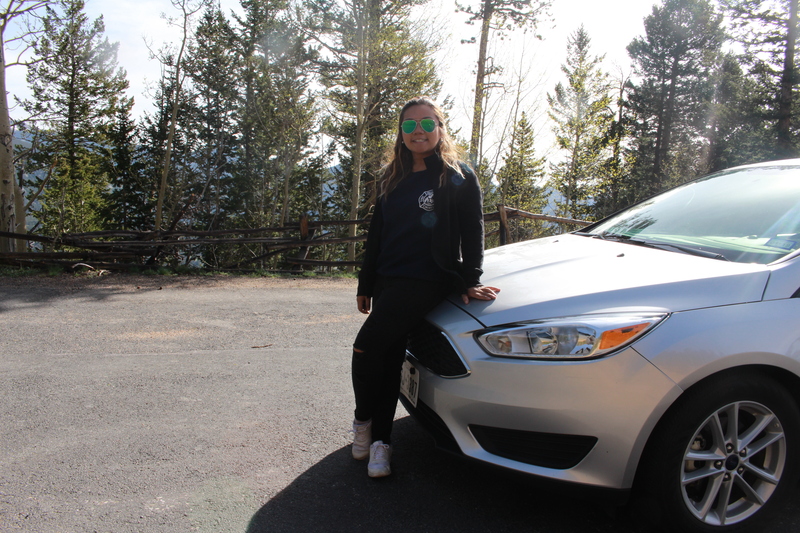 Upon arriving in Colorado, I picked up my car rental from Enterprise by hopping onto a shuttle from the airport and the car I got was a 2017 Ford Focus. 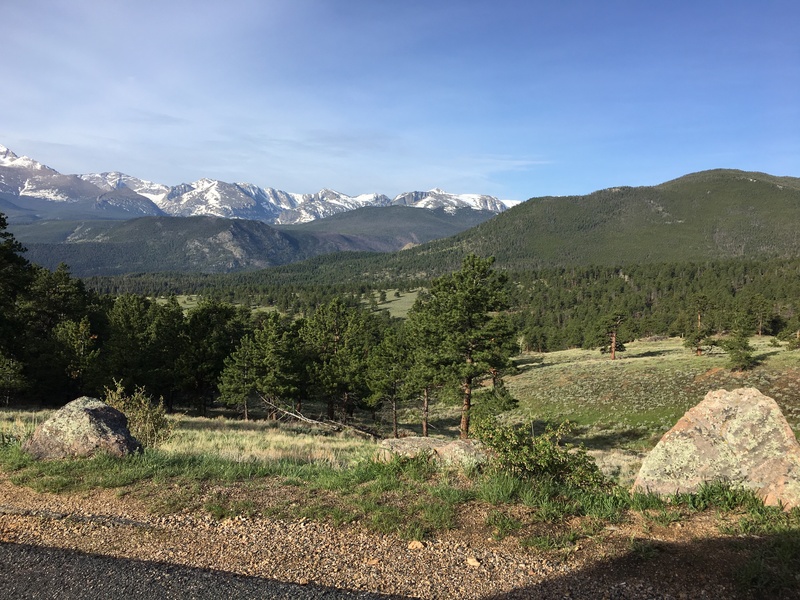 After taking the car, I drove away to try to make it 2 hours away to my destination at Estes Park, the base of the Rocky Mountains. 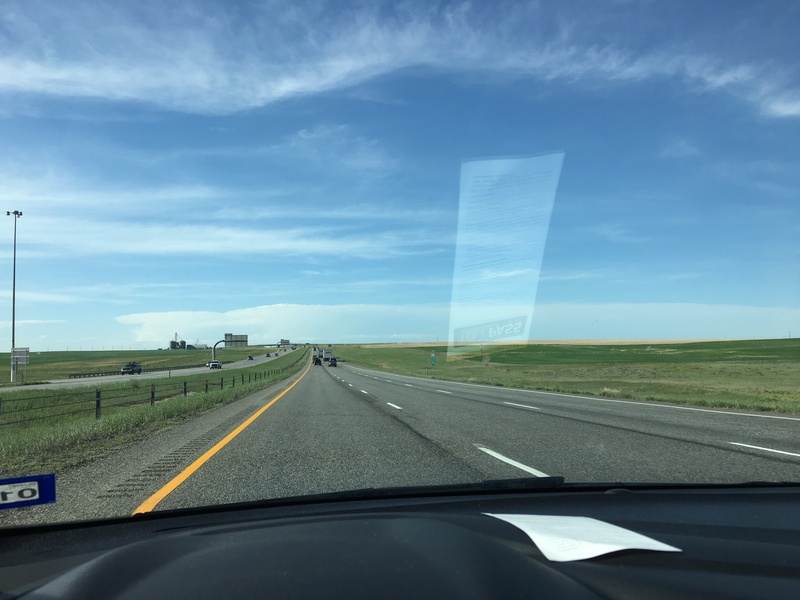 Driving through Denver and cities next to Denver, I was impressed by how open and wide it is with so much green grass covering acres besides the highways. 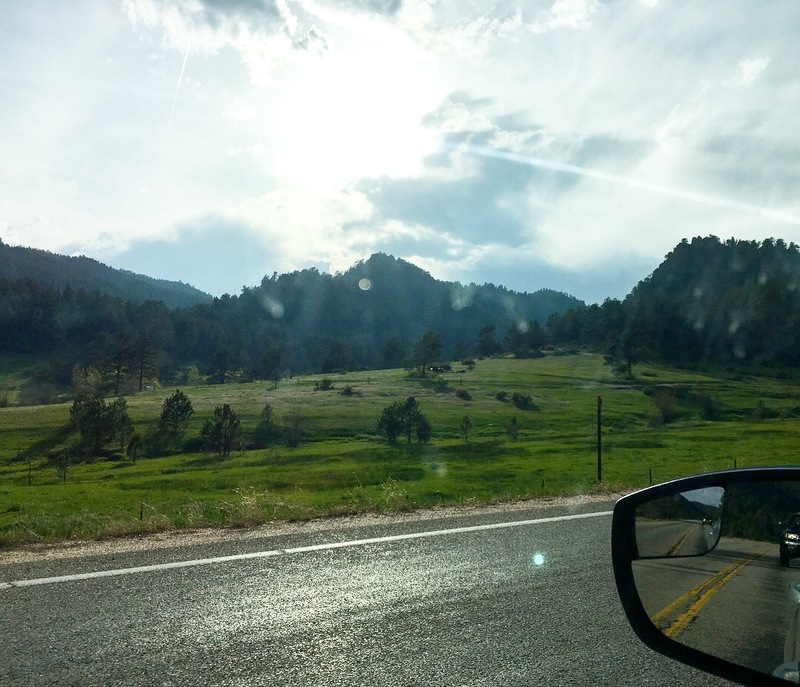 The sky was so clear and bright and the air was so clean where I would be driving by many farms, lakes that reflected to the actual color of the sky, and then I drove my car through mountains that led upwards to Estes Park. 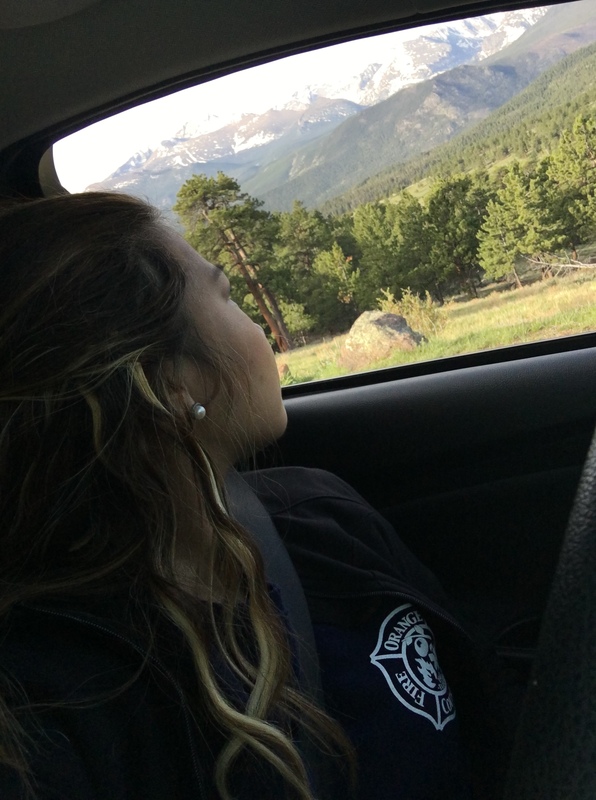 At about 7,000+ ft in elevation, driving the mountain through Estes Park was one of the best experiences I got from mountain driving and I was ‘wowed’ at everything I drove through because of how green and how the views of these mountains out west did not compare to any mountains I’ve seen. 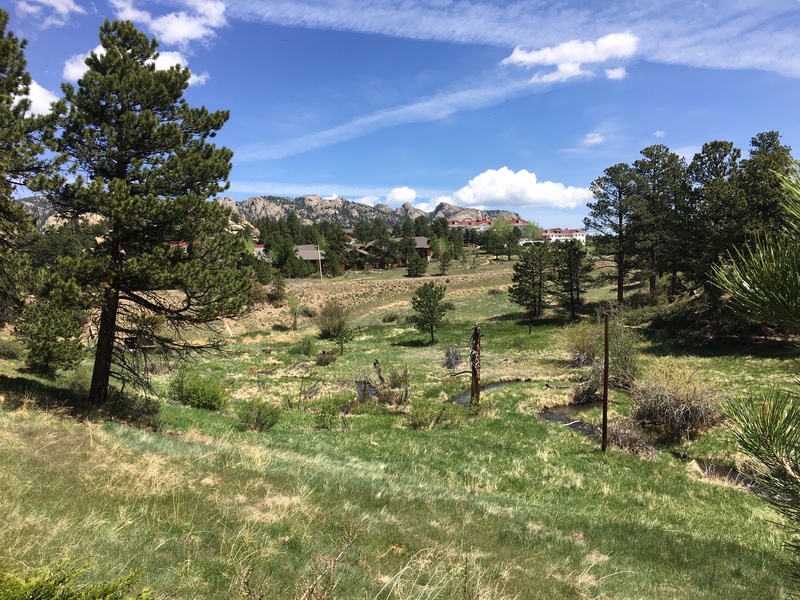 Colorado is known to be the state in the United States with the highest elevations and also, to many, it is known as the best state in the country. 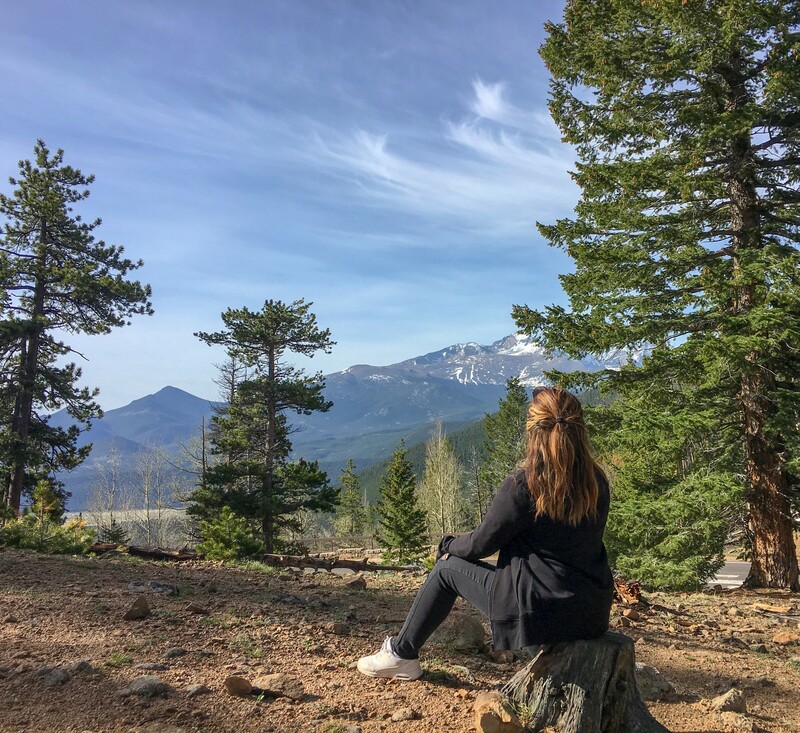 That fact is undoubtedly agreeable with me and with only 24 hours alone in Colorado, I could count that day as my best day yet in my life due to the liberating nature of the trip and the perfect place to choose as my first solo travel. 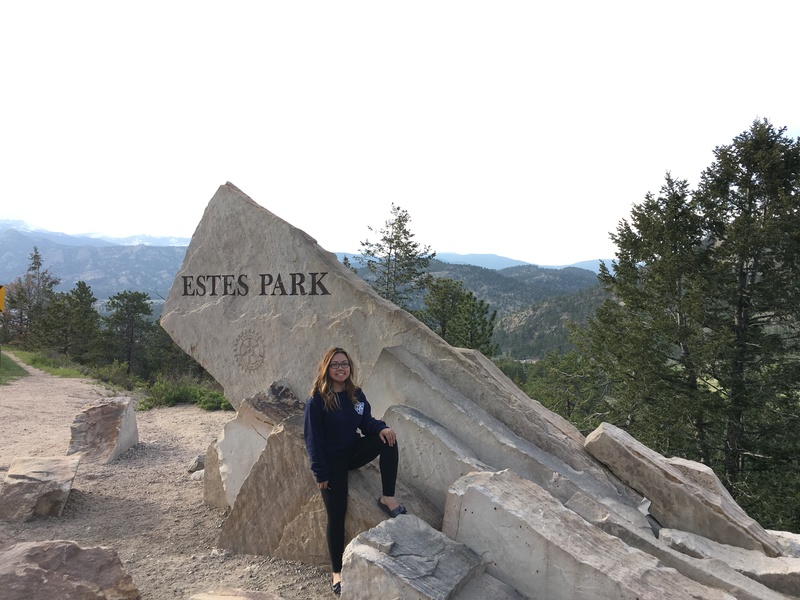 After driving through sceneries and winding roads through a mountain, you’ll see a huge stone with the words ‘Estes Park’ engraved on it as your first sight in this mountain town and I noticed the weather had gotten much cooler and the sky turning more cloudy with a little peak of sunlight. 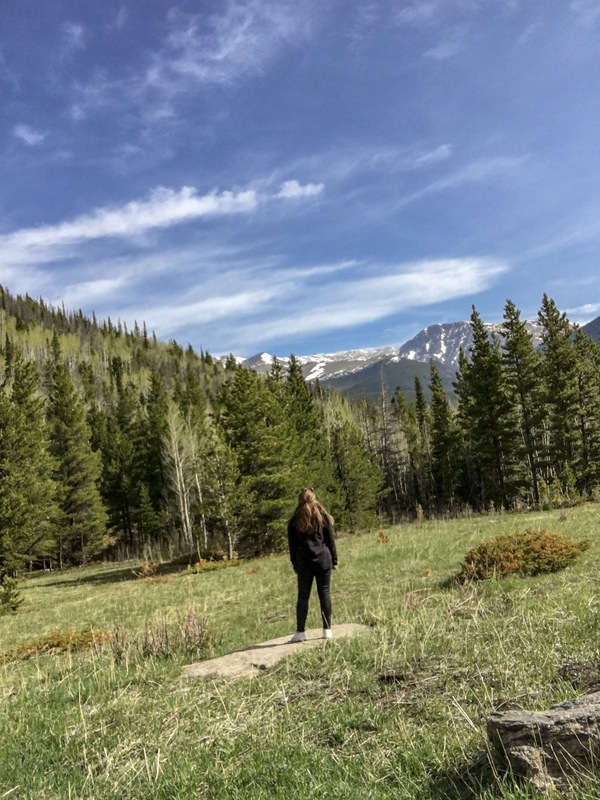 I asked strangers to take pictures of me by the stone, took in the views from behind for a while, and then drove off to arrive at my lodge. 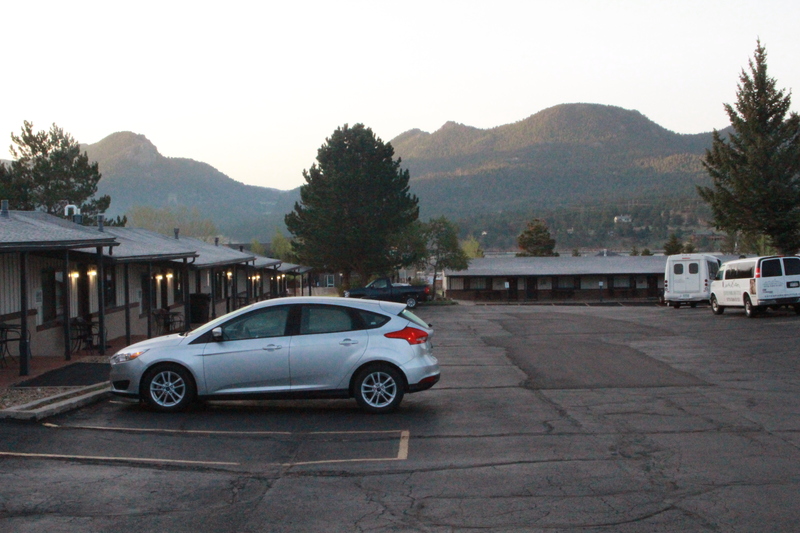 I checked in Murphy’s Resort and was given a room that would be accessible through a single entrance of a door outside. 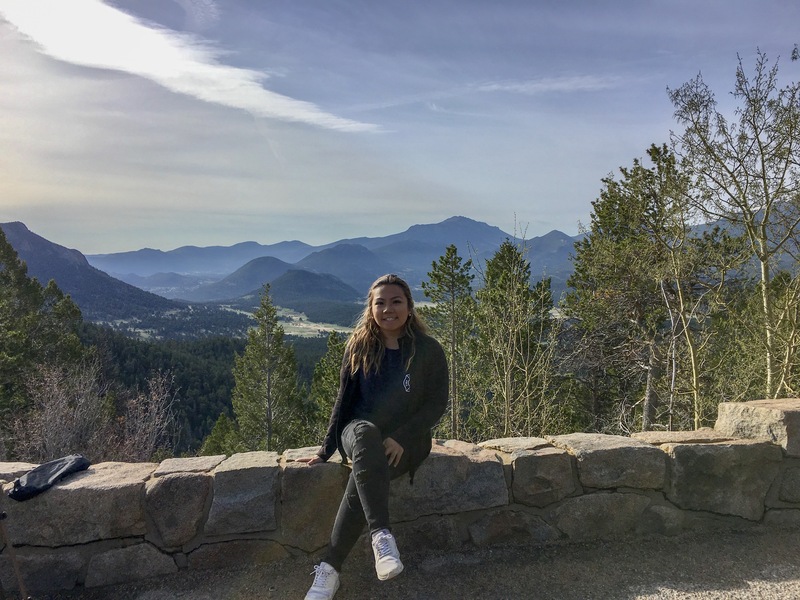 After dropping my luggage into my room and checking it out, I went to the back of the lodge which had views of Estes Lake and photographed myself through my camera in self-timer and took in the views of the recognizable Rocky Mountains in the background. The air was the freshest air I have breathed in by far in my life before. Going back to my lodge room, I noticed it was getting darker outside and I changed into my bathing suit. 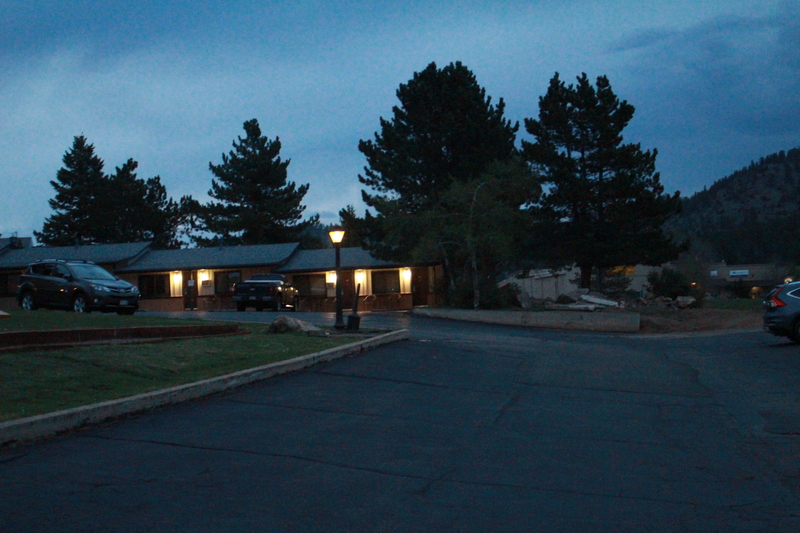 I went to the heated pool that the lodge had and took a nice swim in it (where I was the only person at the time). 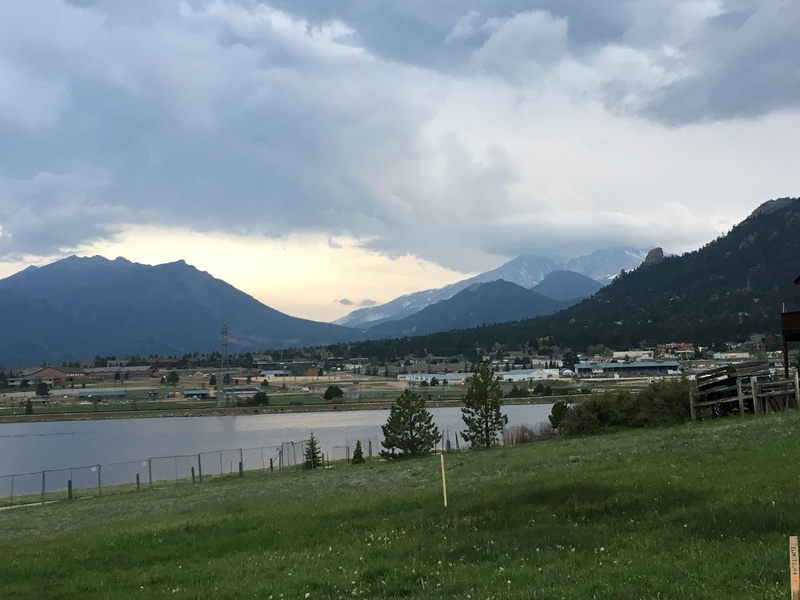 I felt rain drops and noticed the clouds were interchangeably gray and saw lightning from afar by the Rocky Mountains. 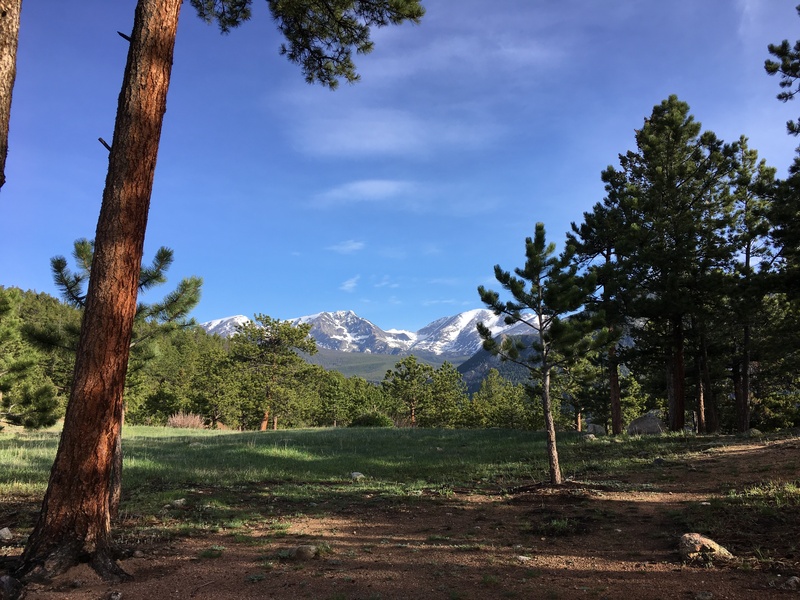 It’s common for Rocky Mountains to have thunderstorms and it is actually dangerous to be at the tree line when one is occurring (always be aware when a storm is approaching if you’re in the Rocky Mountains). I came back to my room that night and I got pretty paranoid being by myself in a state where I did not know anyone so I made sure to double lock the room and close the windows with curtains. I turned on the TV, ordered some Domino’s pizza to be delivered as I was starving, and after eating pizza, I tried to sleep at night but I couldn’t. I was scared by my paranoia of being alone and I was tossing and turning and did not have a good sleep. When I finally slept a little and had plans to wake up at 5am so that I can give myself plenty of time to explore that following morning and noon before hopping back onto my plane home, I woke up feeling nauseous from the food I had last night. 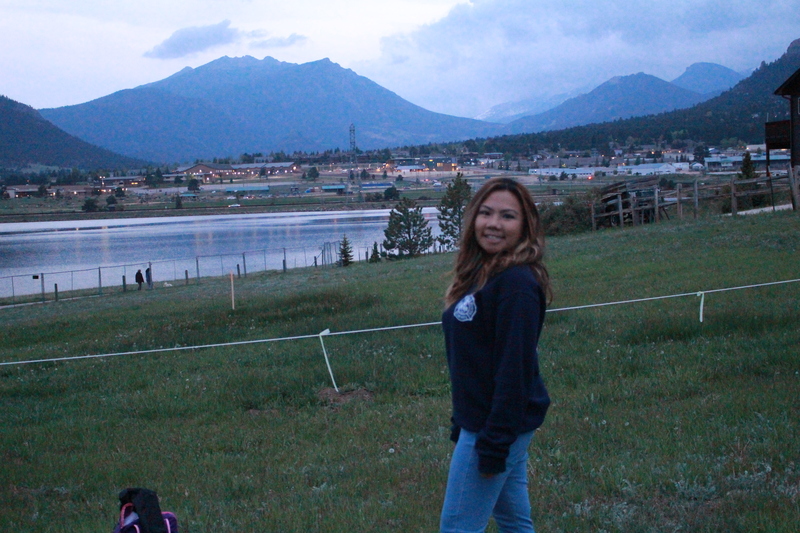 I felt a little lightheaded but I knew I had to push myself to explore. 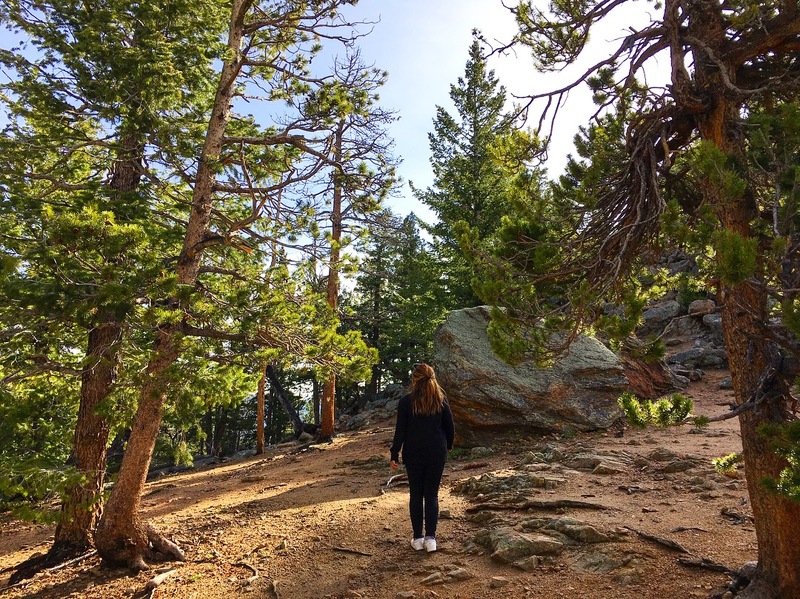 At the time, I did not know why my body was experiencing these symptoms but I later read on to figure it was altitude sickness, which can occur when you go higher up in elevation in a short amount of time. 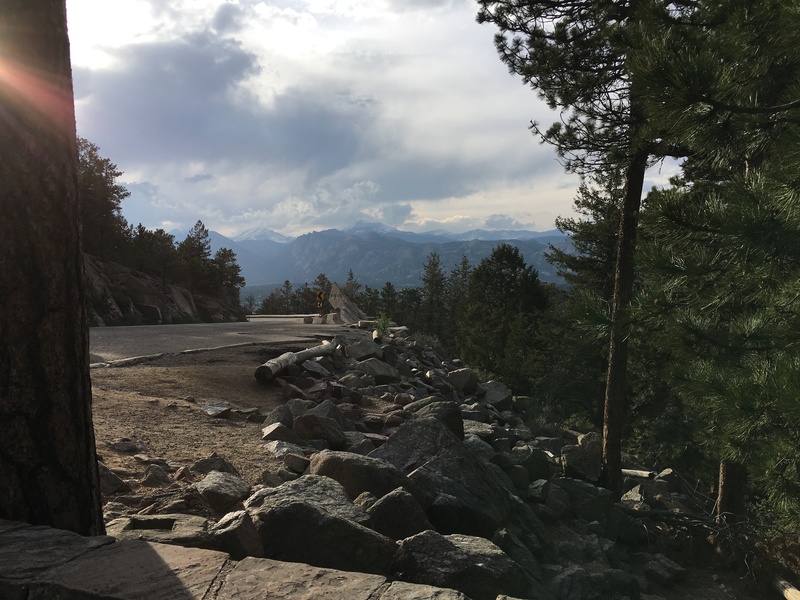 Since being in Arizona and discovering Joshua Tree National Park which had an elevation of 4,000+, I built up my experience in higher elevation so my body did not feel as bad as altitude sickness can really do to one. I saw sunrise and it felt more colder outside during the morning. 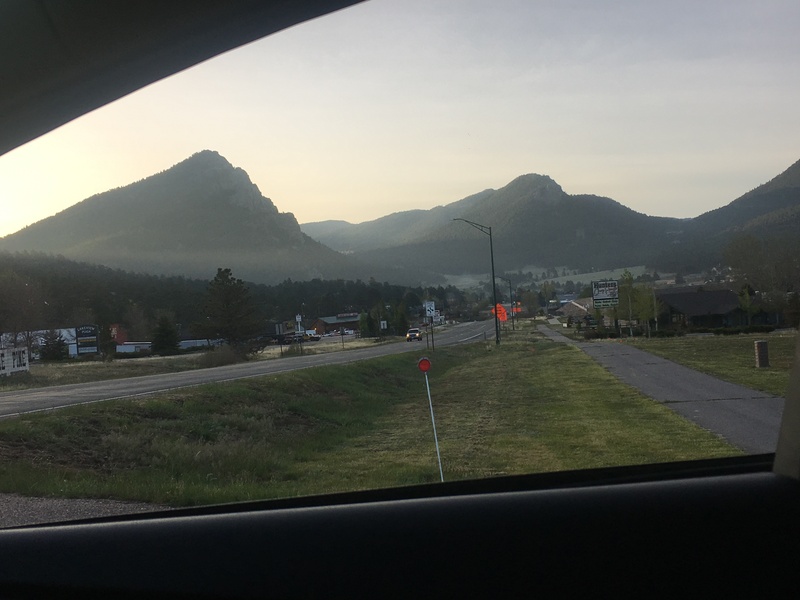 I dropped off my lodge keys in their drop box, drove away from the lodge to drive through the highway with a scenic view of the mountain town of Estes Park and the Rockies, and stopped by a Safeway there to get food to have while I made my drive to Rocky Mountain National Park. 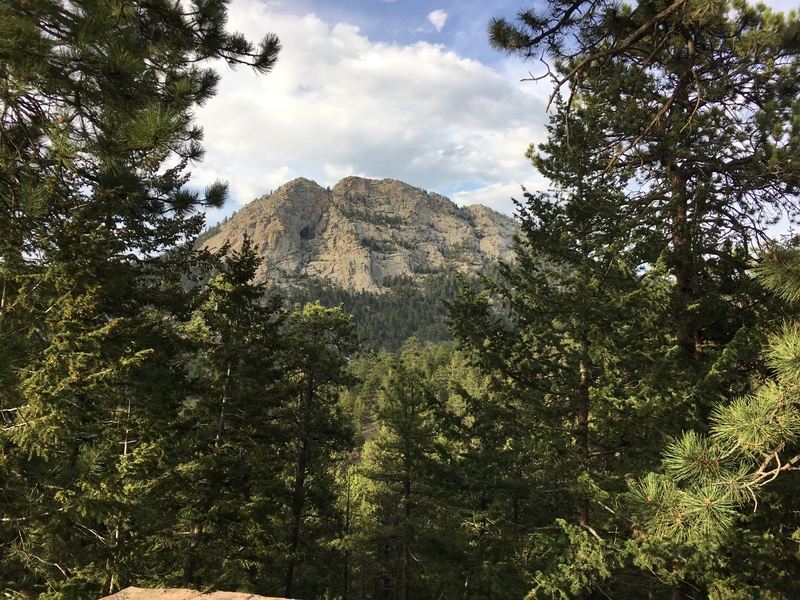 Rocky Mountain was not that far off from Estes Park at about 20 minutes away and I entered the park without paying admission fees (must be because I came early at a certain time?!). 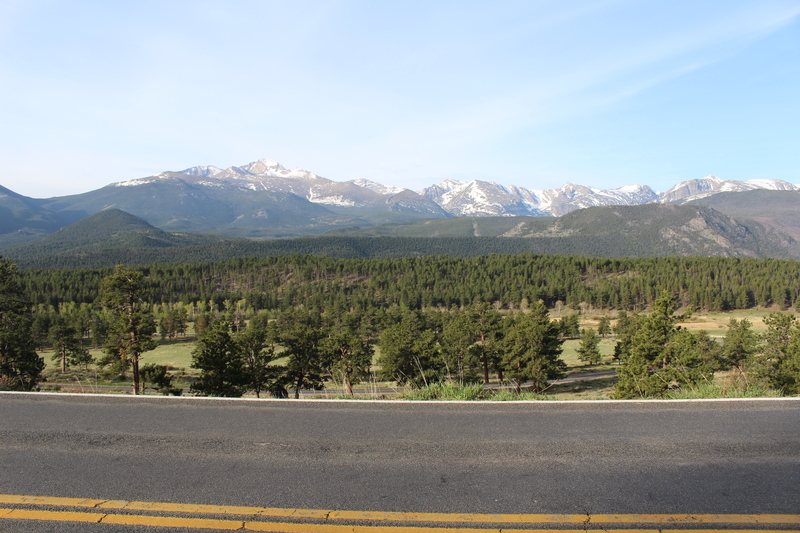 If there’s anything you need to see when you’re in Estes Park, it is obviously the Rockies. 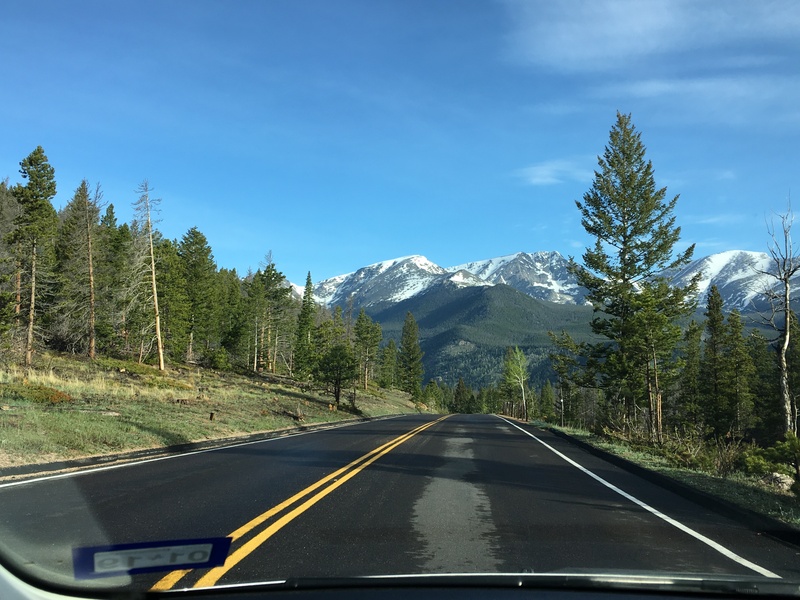 As I did my mountain driving, I was seeing views of so many gorgeous pine trees lined up after another and other Rocky Mountains across the mountain I was driving through. 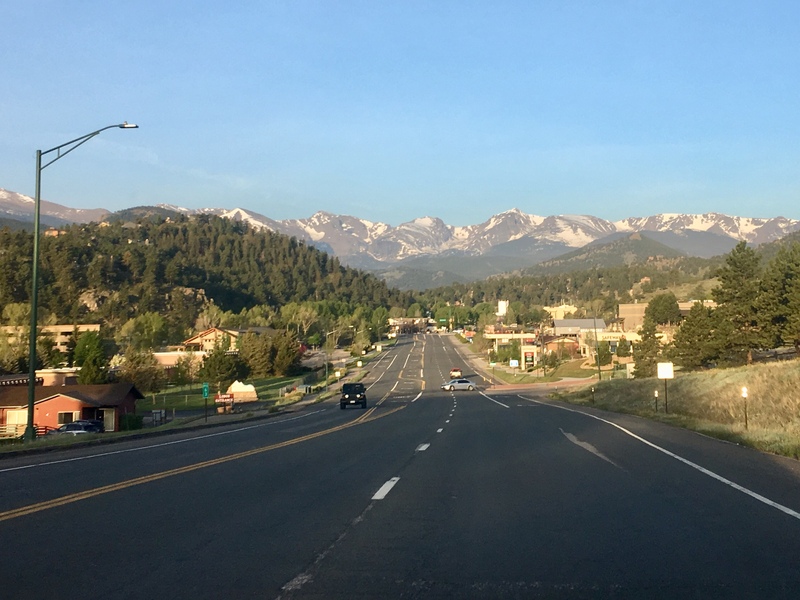 A family of elks crossed the street in front of my car and I drove by witnessing an elk on the edge of the forest next to the park’s highway. 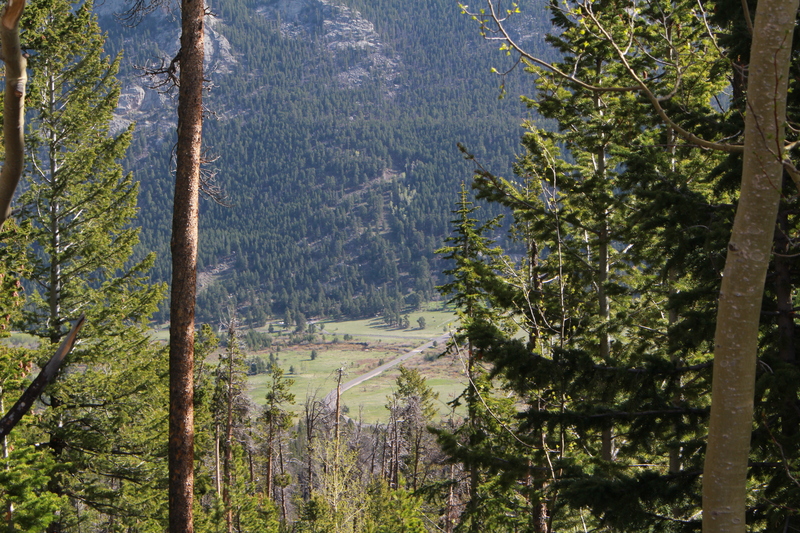 The roads through the park can be tight and can be thrilling as you drive up higher. 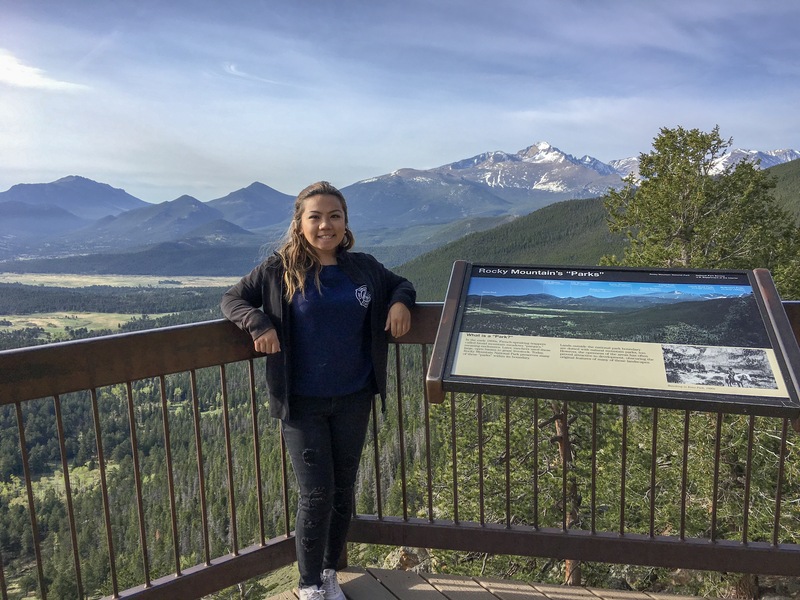 I made a couple stops through some overpasses where you can see some well noted stops and views such as the highest mountain peak in the Rockies, which is Longs Peak, standing at 14,259 ft. 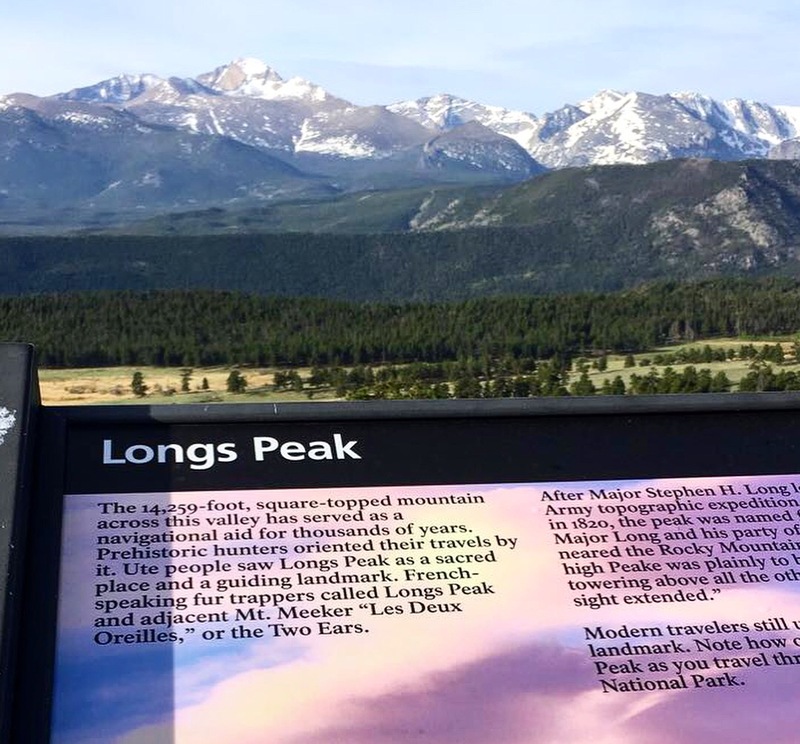 I made it up to Many Parks Curve Overlook at 10,000 ft. Due to my altitude sickness worsening and being alone while experiencing it, I could not make it to Trail Ridge Road, one of the tallest roads in America, which probably possesses the most amazing Rocky Mountain views but I made it my goal to see it next time I’m back to the park! I made a stop to the visitor center towards the end to see what the place had and bought a pin (But I ended up losing it 2 months later!! 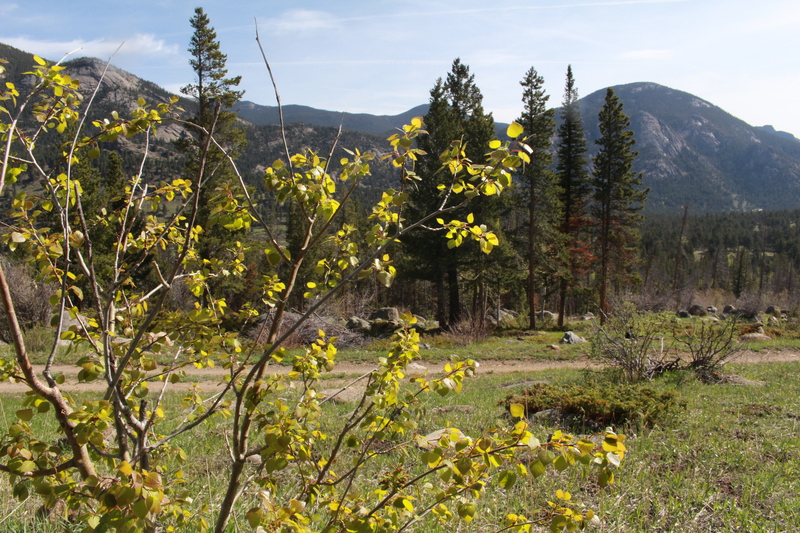 ), which began my hobby to collect pins from all national parks and my notable travels. 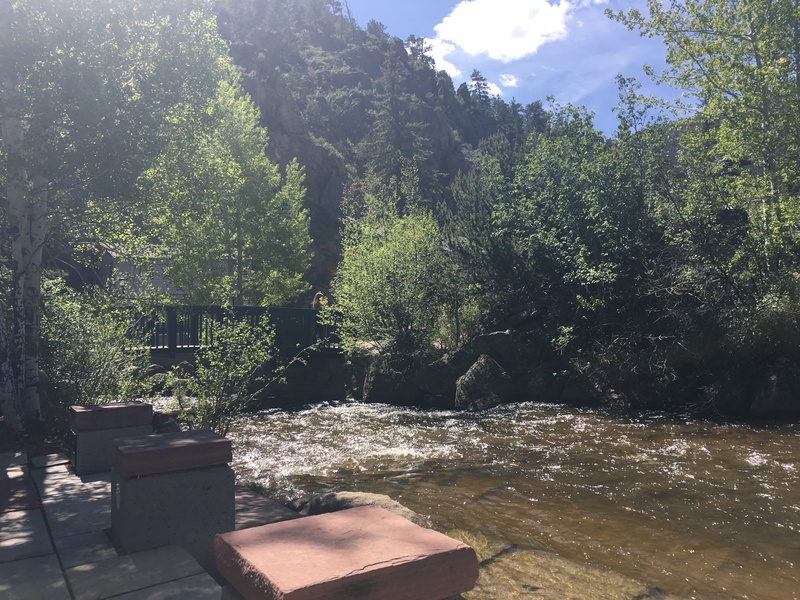 Since I had a few short hours to kill before heading back to return my car rental and the airport, I went to make a few stops to see the open nature of Estes Park and I stopped by a park with a gorgeous flowing river. 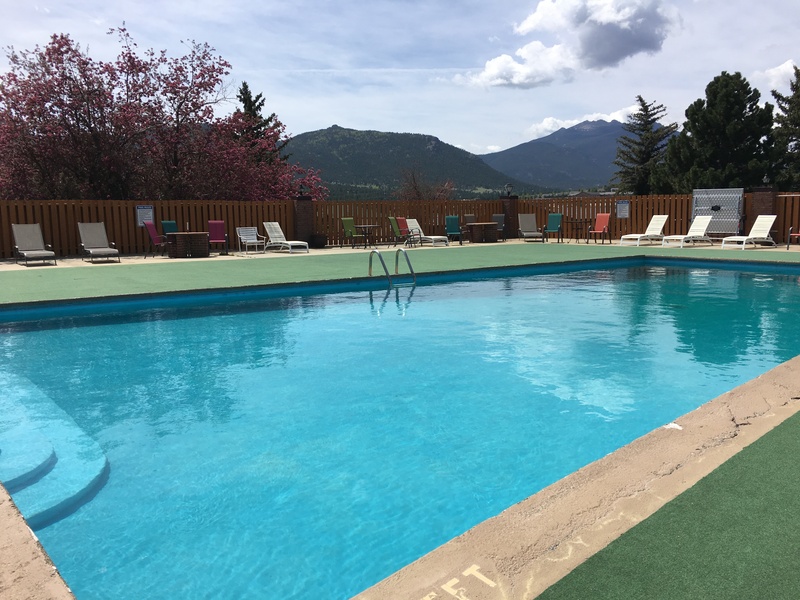 Since the weather got warmer during that early noon, I then went back to the lodge to take a refreshing swim in its pool one last time and admire the views from the lodge. 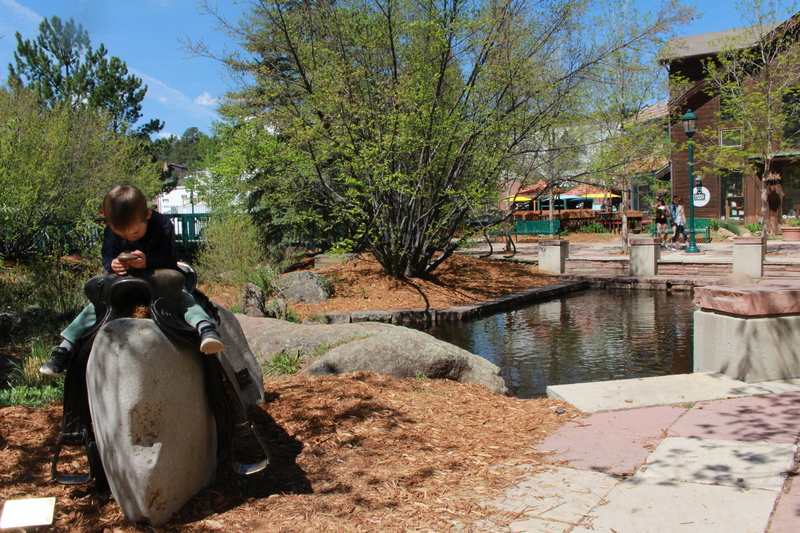 As I drove to go to return my car rental, I mistakenly just entered Enterprise into Google Maps and clicked on the first location I saw in Denver. However, this is something you should avoid doing when traveling alone and trying to return a car rental!! The car return rental place was in fact by the airport and I had to circle back around from the highway to get to the actual car return rental place. Take note: always check the address given on the receipt and use that to get back!!! I had to rush to take a shuttle back to the airport and was stuck in long security check point, accidentally left my cell phone there, and almost hopped onto a terminal before realizing my phone was not on me!! I found my phone back from security but the experience made me nearly miss my air flight. 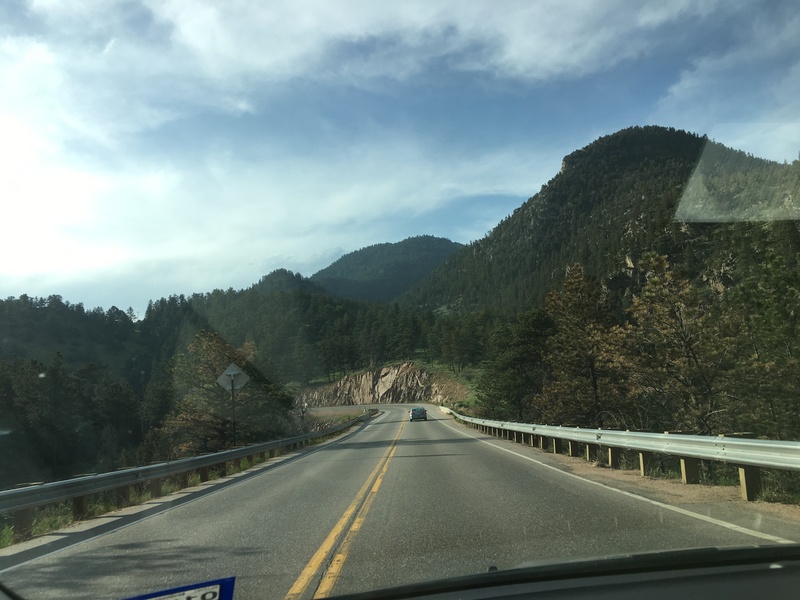 My first solo trip was definitely a learning experience. 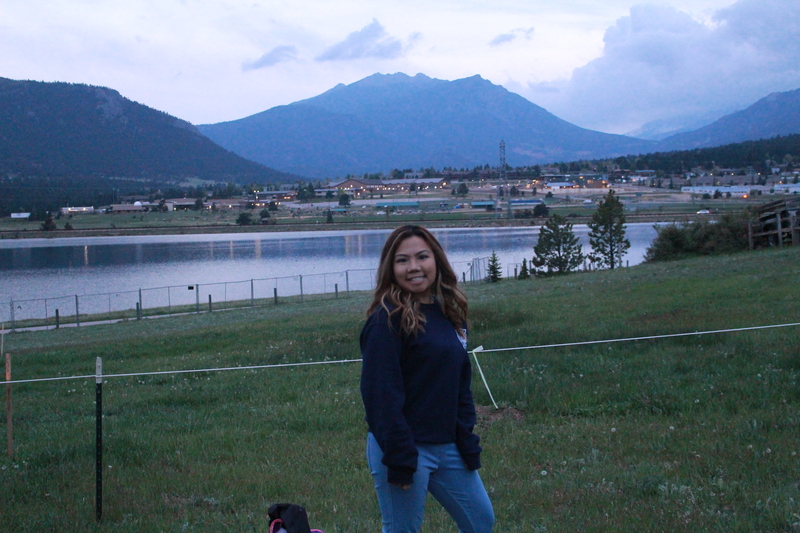 It was scary at first but you overcome that fear eventually and you get to learn what it’s like to depend on only yourself in an unfamiliar place. You get to make your own decisions and own adventure. 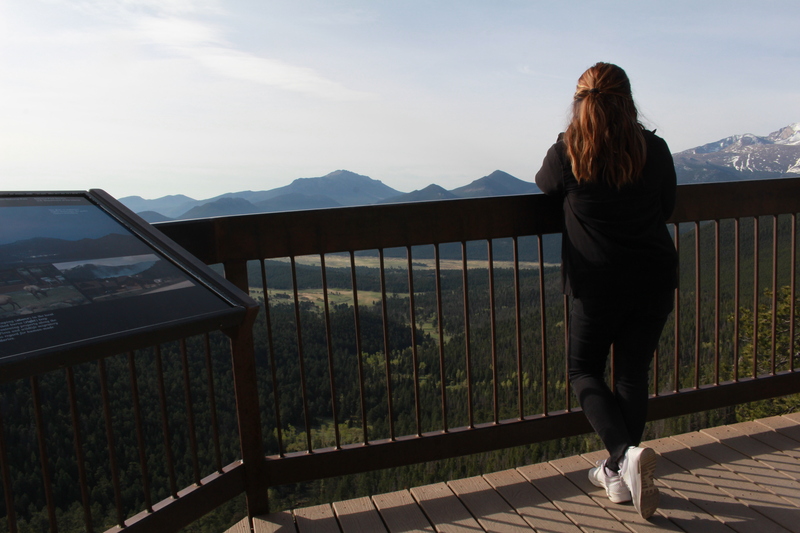 Traveling alone is definitely not for everyone and I don’t know if I would be able to enjoy traveling by myself for 4-7 days long but it definitely challenges you yet keeps you on your toes no matter how long you do it for. 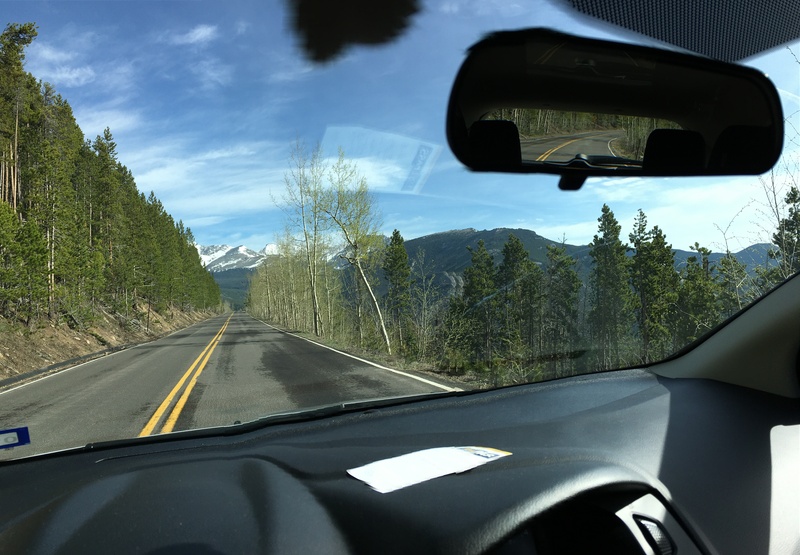 Choosing to go to the Rockies and in Colorado as my first solo trip was certainly a great option for me. Thank you M.B. Henry! That is exciting and sounds like quite the destination to get married in.